I shared an article about Ann Cavoukian’s viewpoint on data privacy and analytics. 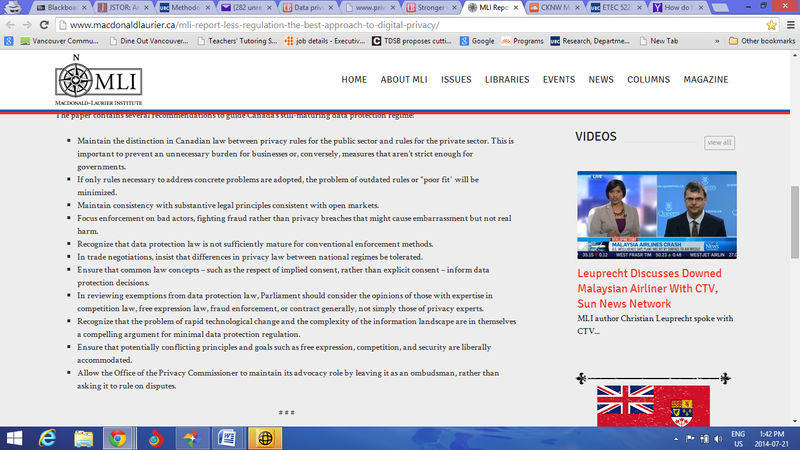 I found another interesting one that states that “greater digital privacy laws will stifle business competition”. I found this interesting cause in the age of technology when our privacy and ethical concerns surrounding our data is so important, many advocate for reduced restrictions on these laws. 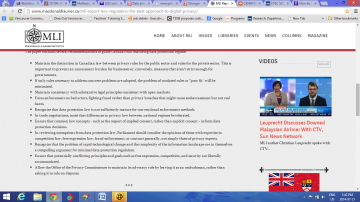 The article addresses Bill s-4 in relation to our Canadian rights and privacies. The Bill has not been passed by the Harper government as yet. Bill S-4 is aimed at overhauling the rules for online privacy, giving new power to the Privacy Commissioner and introducing new penalties for privacy breaches. A huge part of the Bill already has extensive support. It is part of a few new bills before Parliament with implications over how Canadians’ private online information can be handled and shared. According to Josh Wingrove from the Globe and Mail, critics believe that the bill will extend to unwarranted data sharing by online companies without the consumers consent. 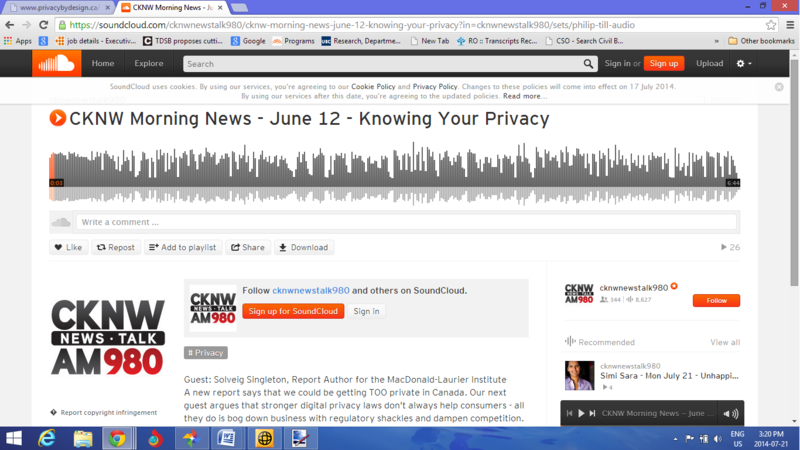 Solveig Singleton, Report Author for the MacDonald-Laurier Institute, believes that Canada is getting too private with digital privacy laws. She argues that stronger digital privacy laws don’t help consumers but stifle businesses from being competitive and increase their business costs. Here are the suggestions made by MacDonald-Laurier Institute upon new digital privacy laws as well. Love to generate a discussion here. How would you feel about Bill s-4 being passed, possibly leading to unwarranted data sharing? Your children’s or students information online?